Do you love to stay outside in contact with the nature, but you can’t have a treehouse because you should build it. You don’t want to have a TreeTentsile, because it’s too sporty for you, but still you would like to be hanged on a tree? 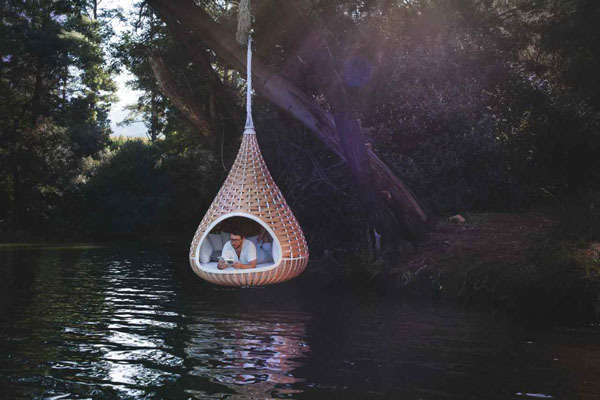 Keep reading, Dedon has the right solution for you! This nest is ideal for a couple for a single who wants to chill and enjoy the nature and the landscape surrounded! Inside the pillow and mattress will provide you the best comfort for your relax!